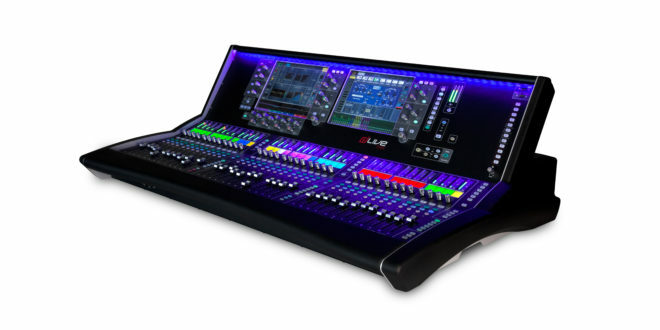 The dLive series of mixing consoles from Allen & Heath (pictured above) offers both ease of use and flexibility in system design and operation for live 3D audio experiences. With advanced immersive audio controls built into the system, users can easily fine-tune the precise position of each audio source within the 3D soundscape. dLive excels in low overall system latency, a must-have when creating a phase coherent 3D mix in a large or acoustically complex space. Utilising FPGA technology, dLive’s 96kHz FPGA XCVI processing core contains enough power to deliver 128 full processing inputs and 16 Stereo effects returns, a configurable 64 bus architecture, ‘virtually infinite’ mix headroom (thanks to a 96bit accumulator) and ultra-low latency of 0.7ms. Native surround mixing controls provide comprehensive panning options, including divergence control to isolate main Left and Right from Centre (LCR+). Low frequency effects can be easily controlled via dLive with on-board LFE attenuation and options to fully bypass the main 5.0 mix and feed only to LFE on a per-channel basis when needed. KLANG’s 3D in-ear mixing technology is used by world famous performers, monitor engineers and houses of worship to create natural sounding individual headphone mixes. Its binaural algorithm is optimised for various live sound applications and accompanied by powerful snapshot and scene management. Latest software updates provide easy to use equalisers, while additional remote tools for high end mixing consoles and 3D loudspeaker rendering processors allow for flexible workflows. With an intuitive user interface for PCs, tablets and smartphones, KLANG:fabrik can be used by up to 16 musicians for personal monitoring. 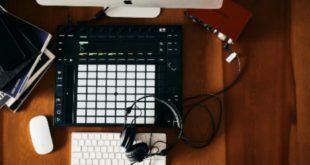 For higher processing needs, several units can be controlled simultaneously by the KLANG:app, which provides different views and specific features for musicians and engineers to mix side by side. As well as mixing monitors, the outputs can be used for immersive headphone concerts, live streaming or studio production. In addition to mixing, the unit provides flexible audio routing between ADAT, Dante/AES67 and MADI. The second MADI port can function as either a second input or as an output. PMX D Series incorporates a newly refined Dante I/O section, offering options for full integration with leading third-party networking. Audio signals are selectable from one channel of analogue, two channels of AES3 digital, and two dual redundant Dante networked digital inputs, while input signals are individually selectable for each channel. Amadeus is the first company to include Audinate’s Dante technology in a high-end active coaxial speaker range. Each Dante Ethernet RJ-45 network input allows remote control of the PMX D processor for an optimal adjustment via dedicated software to the acoustical properties of the listening space. The software is an app for Mac, Apple iPad and Windows. Each PMX D speaker channel is under control by a powerful, 64-bit digital processing unit capable of a 118 dB dynamic range. Each of these on-board DSP units include a module dedicated to managing core system parameters including system EQ, time alignment between sections, limiting, and transducer thermal protection. The Neumann KU 100 dummy head is a unique binaural stereo microphone. The design implements two condenser microphones built into the ears of the head in order to replicate human hearing and achieve authentic, true-to-life stereo imagery and field perception. This is called binaural sound; when you listen to a binaural recording through headphones, you perceive distinct and genuine 360-degree sound. The dummy head is also used in many industrial applications as a measuring device, in acoustic research for example. The KU 100 can be operated with typical 48 V phantom powering, or from an external power supply unit, or from the built-in battery. The AMBEO VR Mic is an ambisonic microphone fitted with four matched KE 14 capsules in a tetrahedral arrangement, which allows capture of the surrounding sound from a single point. As a result, users get fully spherical Ambisonics sound to match their VR video/spherical 360 content, bringing a whole new emotional experience to listeners. 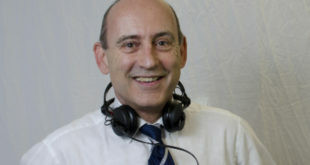 The handheld microphone comes complete with a split cable with four colour-coded and labelled XLR connectors according to the capsule position, a Rycote suspension mount and a foam windshield. The elegantly designed AMBEO VR Mic has been developed in cooperation with VR content producers and fine-tuned through an extensive creators’ program with participants from across the audio and VR communities. 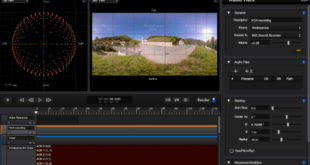 The product package includes all the necessary accessories that allow for a smooth workflow – not least the A-B encoder software that works as a plugin, which can be embedded in the post-production process.